The water of life, Yes that’s right, Whiskey! 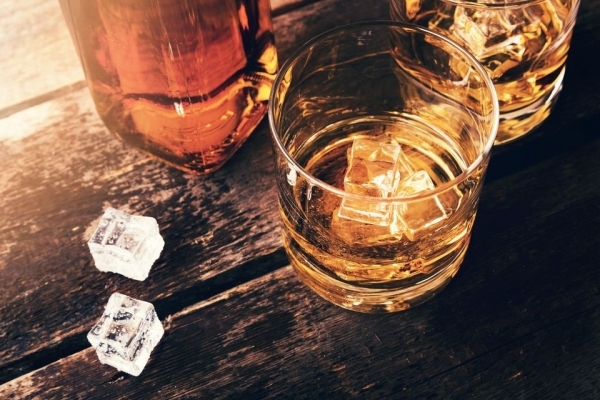 international whiskey day has just passed, an occasion when Whiskey lovers from around the world raise a glass to honour the many unsung heroes of the past and present. Those who have been crafting the great drink for centuries and will hopefully continue to do so until the end of time. Many of us don’t need much of excuse to indulge in our favourite whiskey, but today seems as good an excuse as any. Many will have a Whiskey close to their heart that no other can compare to, nine times out of ten, it will be either Irish or Scottish. They are the giants of the whiskey industry, but a question that seems to go unanswered is who invented the water of life? The Irish and the Scots have argued for decades about who first invented whiskey. There are many theory’s surrounding the topic although it is widely accepted that whisk'e'y comes from Celtic origin - though was it the Scots or the Irish? Well, the Irish claim that in the period of 600 A.D Christian Irish monks travelled throughout Arabia picking up and eventually mastering the distilling trade, which does sound quite Irish to be fair. Whereas the Scots have gone one better with their detective work. They reckon they have written evidence that proves whiskey was in distillation in 1494. Apparently, there is a record on the Exchequer Rolls of ‘eight bolls of malt to Friar John Cor wherewith to make aqua vitae’. Which does seem quite legit. Although there are many very ‘convincing’ arguments, there is no concrete evidence as to who invented it first, and it is highly unlikely we will ever know. I, however, have my own opinion on the matter... The Scots invented the television, the toaster, Aspirin and golf whereas the Irish have given us Tayto. On that basis, it is clear that the Irish were the first to introduce Whiskey to the world. Why? Well, many people would struggle to even change the channel on the TV while drinking whiskey, never mind invent one and don’t get me started on golf. Now that that’s cleared up, (your welcome) what has production been like since? Well there have been many historic events over the years that have impacted the whiskey industry, such as the engineering of the column still by Sir Anthony Perrier from Co. Cork. 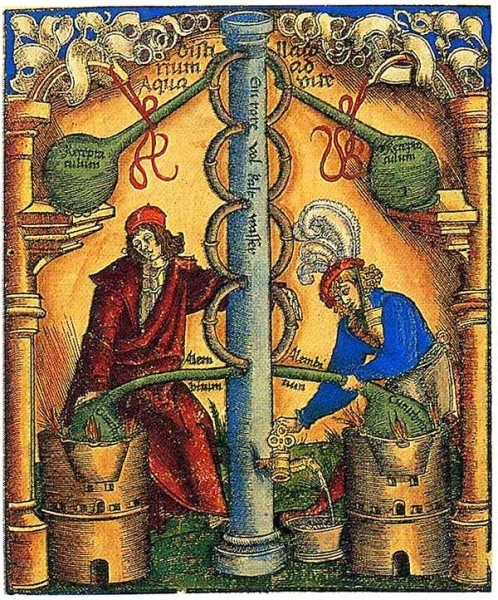 The column still allowed for a more efficient way of distilling whilst increasing the amount of potable alcohol that was collected. 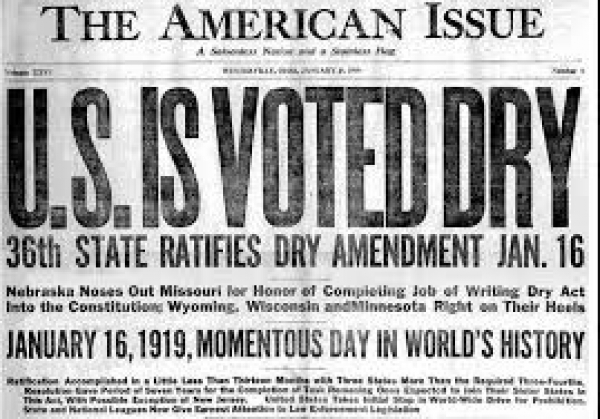 This coupled with WW1/WW2 & prohibition had a major impact on the category. During Prohibition, Scotch distillers shipped bottled whisky to the United States, a practice that prevented adulteration and rapidly gained a reputation for product quality, while bulk barrel shipments by Irish distillers were often diluted with inferior spirit. This along with the announcement of Irish independence in 1919 which cut off Ireland’s whiskey companies from their lucrative markets in the British Empire saw a steady decline in the production of Irish whiskey. What once was a booming market was now being held together by the three remaining distilleries who refused to go down without a fight, Jameson, powers and Cork Distilleries. Volumes continued to drop, both domestically and internationally. By the mid-80’s, the industry had hit bottom. Fortunately, Irish whiskey’s fortunes were about to turn. The category across the island of Ireland now has over thirty distilleries with more to come. Showcasing the Irish Single Pot still once again. The Irish Whiskey category itself is the fastest growing spirit category in the glow, with 131% growth in last 10 years in contrast, scotch’s growth has been a modest 13% over the same period. Furthermore, according to a report from Central Statistics Office (CSO) in Dublin Irish whiskey exports recorded a 14.2 percent increase in value in 2017! On that note, I think this calls for a celebration! Whiskey anyone?